GE provides enhanced reliability through advanced protection for a wide range of bus protection applications. Our highly skilled technology teams understand bus bar principles and protection techniques, and use them to design, manufacture and support bus protection solutions that can be applied to a vast array of applications. High magnitude fault currents require high speed operation of the bus bar protection to limit damage. However, this high speed clearing must be balanced against the need for security. Tripping incorrectly for an external fault may cause large outages and jeopardize power system stability. Learn more in our bus principles and protection guide. MiCOM Agile P74x Distributed Busbar Differential Relay The Agile P74x offers high performance, secure and sensitive protection for all types of busbar configurations at all voltage levels. Consisting of the Agile P741, P742 and P743 relays, the P74x platform is engineered to provide a centralized or distributed architecture with CT saturation detection, dynamic topology processing algorithms and a fast reset (less than 1 cycle) circuit breaker failure element, accommodating up to 8 zones plus a check zone and up to 28 terminals. B90 Bus Differential SystemComprehensive and scalable bus and breaker fail protection for LV, HV and EHV busbars. 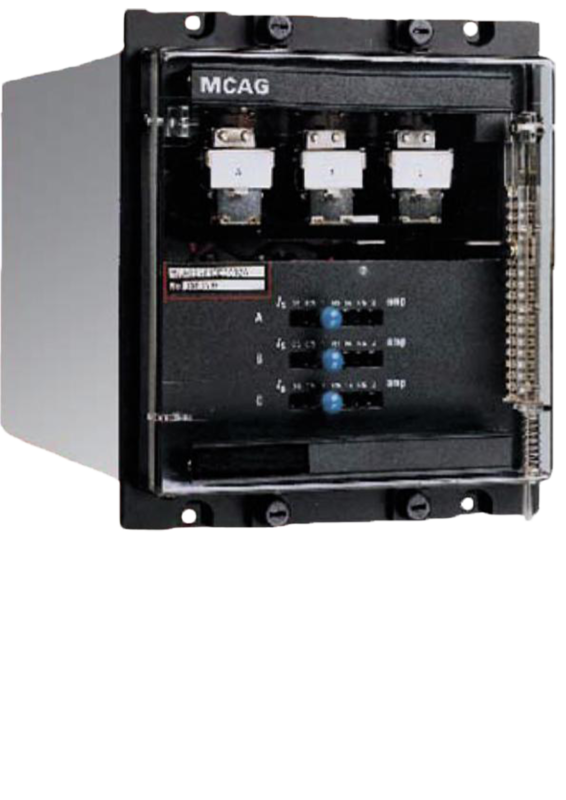 The B90, a member of the UR Family, features integrated protection and breaker failure for re-configurable LV, HV, EHV multi-section busbars up to 24 feeders. MiCOM Agile P747 Centralized Busbar Differential Relay The Agile P747 provides complete protection for voltage levels up to extra high voltage busbar configurations with a centralized 3-box architecture. The Agile P747 can accommodate up to 4 zones plus check zone and protect up to 18 terminals. 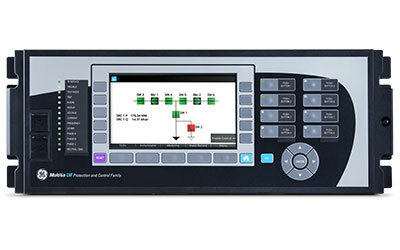 The P747 Is particularly useful in double busbar with double bus coupler applications and allows a high number of opto inputs, relay outputs, and virtual inputs and outputs to manage the complete substation scheme. 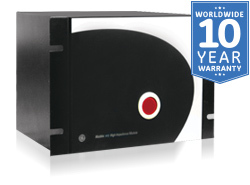 B30 Bus Differential SystemCost effective bus protection and metering for up to six feeders. The B30, a member of the UR Family, is a digital device that features integrated protection for HV and EHV busbars, providing cost effective, feature focused busbar protection. MiCOM Agile P746 Centralized Busbar Differential Relay The Agile P746 provides complete protection for MV and HV busbar configurations with up to 2 zones plus a check zone and up to 18 terminals. The P746 provides a centralized one box or three box architecture and is very simple to use, as it does not need to be deeply engineered and supports easy operation and maintenance of busbars. MCAG High Impedance Bus Differential Relay MCAG relays provide high-speed differential protection for various types of power system plants Including generators, reactors, busbars, motors and the individual windings of power transformers. The relays provide current-calibrated busbar differential and have an attracted armature design with simple and robust construction. MVTP - Buswire Supervision Relay The MVTP is a monitoring device, used to ensure the integrity of busbars and restricted earth fault schemes. MFAC High Impedance Bus Differential Relay MFAC relays provide high-speed differential protection for various types of power system plants including generators, reactors, busbars, motors and the individual windings of power transformers. MFAC relays are fast and reliable due to simple electromechanical construction and operate as a high impedance unit protection scheme with a wide range of settings. 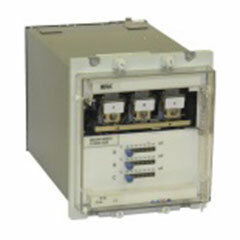 KITZ 274 Interface The KITZ 274 is suitable for local desktop computers or remote substations. This flexible protocol converter can be used for a wide range of connections and its high quality design ensures optimum reliability. HID High Impedance Differential Module Auxiliary resistors and varistors for high impedance differential schemes. The HID module provides resistors together with voltage limiters (MOVs) normally used in conjunction with a high-speed overcurrent relay to achieve high impedance differential protection. 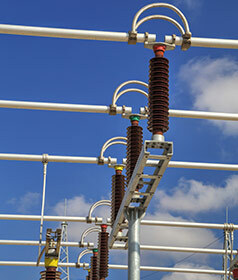 Use the HID in applications that include high impedance differential protection for busbars and electrical machines, such as transformers, generators or motors, as well as restricted earth fault protection. Not finding the bus product that you’re looking for? View legacy bus protection products.